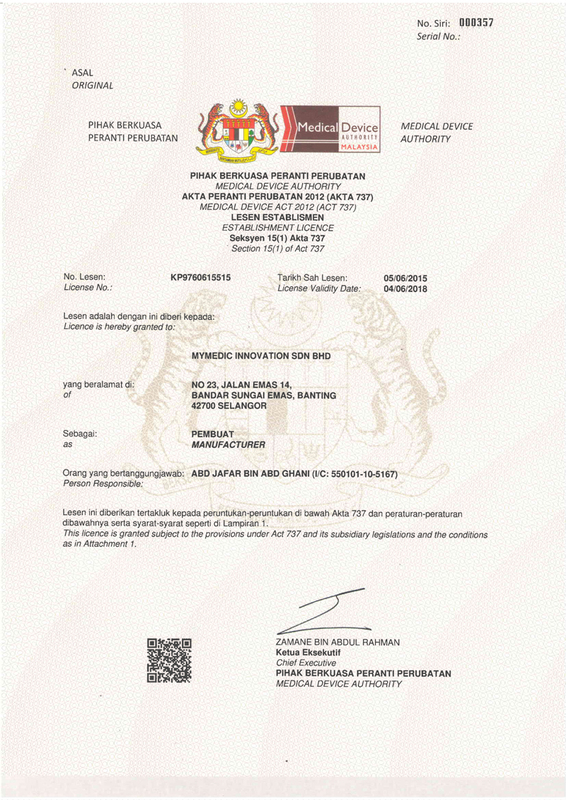 MyMedic is one of the local manufacturing and distribution for medical disposable devices in the region. We bring in the latest technology and manufacture the medical disposable devices that will enhance the quality of patient care. 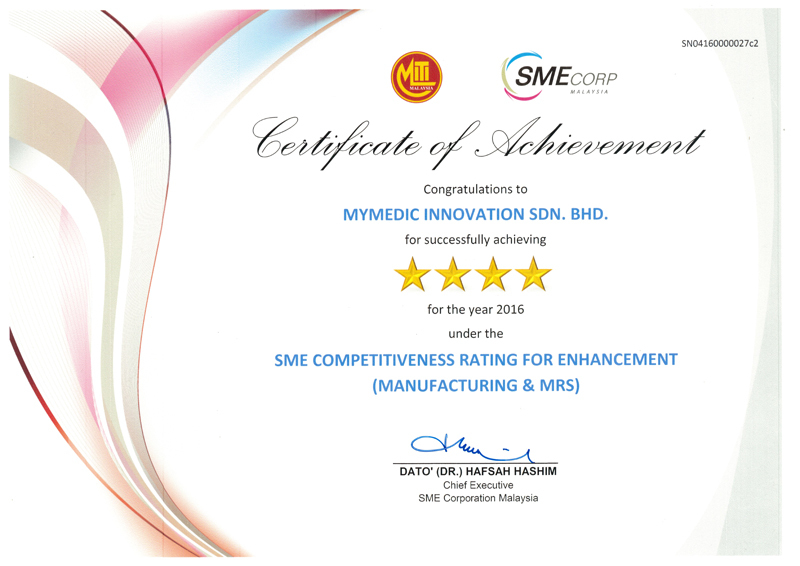 MyMedic goal is to continuously improve each single function of our company in order to create customer satisfaction. The production equipments used is of most modern design. We manufacture our products with the help of the latest production technology harnessed through dedicated production team in a harmonious and certified clean-room environment within process quality control to the highest consistency with traceability and documentation. You count on us for precision manufacturing, R&D support, precise and timely deliveries. 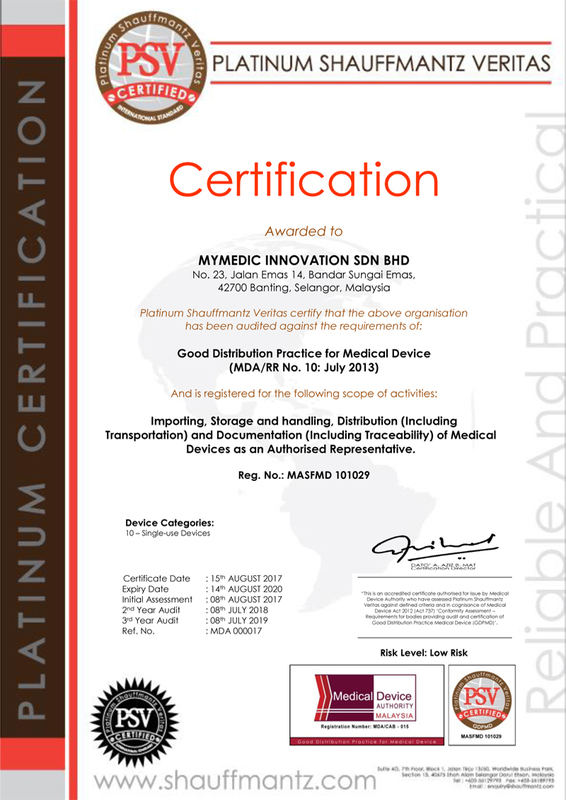 We are inspired to develop and distribute innovative medical technology that will help ease the burden and difficulties faced by health and medical professionals in their daily routine in patients care and at the same time to make the patients have a more pleasant experience in the course of treatment, all in the name of passion for life. 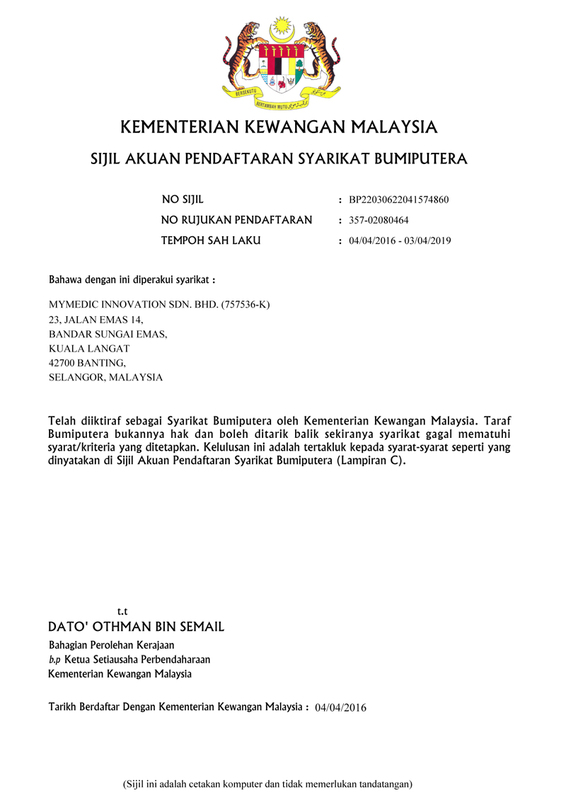 Corporate Office : 8, Lorong Sukepi 1, Off Jalan Sukepi, Kaw Perindustrian Jenjarom, 42600 Jenjarom, Selangor Darul Ehsan, Malaysia. Business Experience : More than 10 years of experience in manufacturing medical disposable products and distributing medical disposable products in local and international markets. Continue create innovative products and manufacture high quality goods. Care our employees and provide comfortable working environment for them. 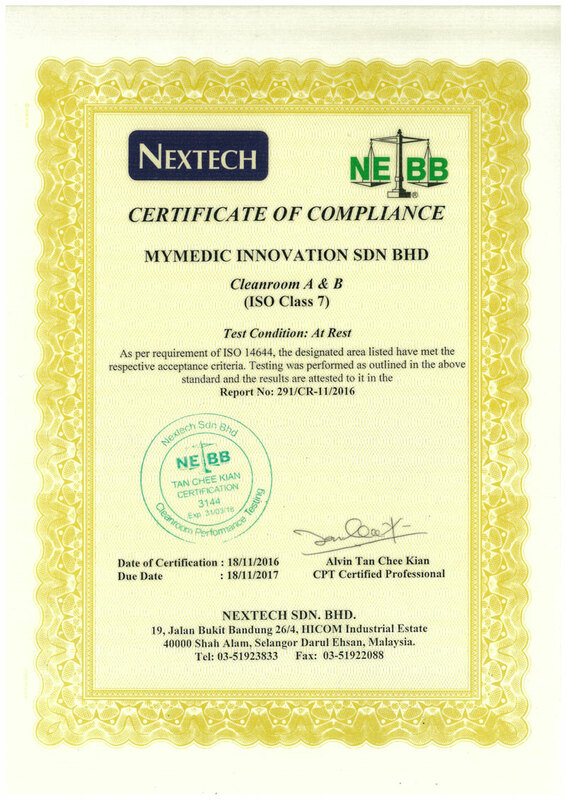 We strive hard to make sure our product quality is always on par with international standards. 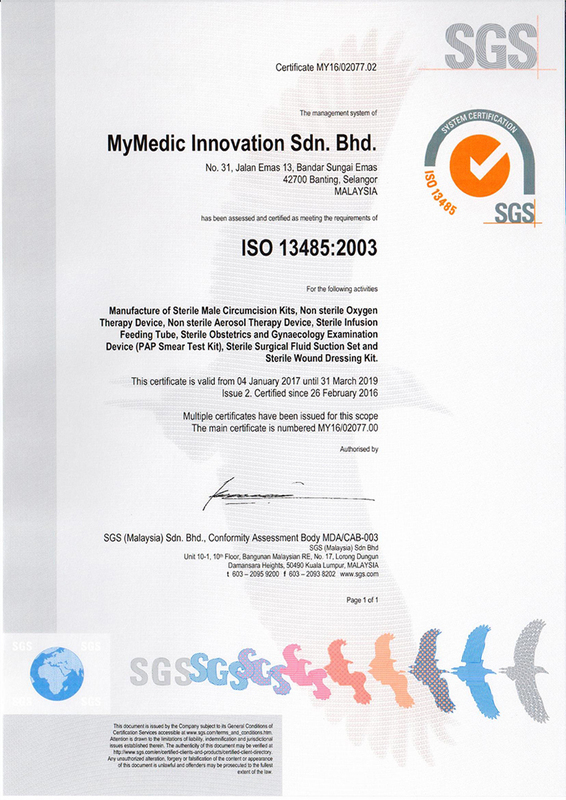 Currently, our facilities and production process meet the requirements of ISO 13485:2016 that is accredited by SGS United Kingdom Ltd. Taking care of people is our main vision, we insist on this level professionalism in order to satisfy our customer with the safest, most comfortable products. Establishing the complete product developing system and creating innovative products. 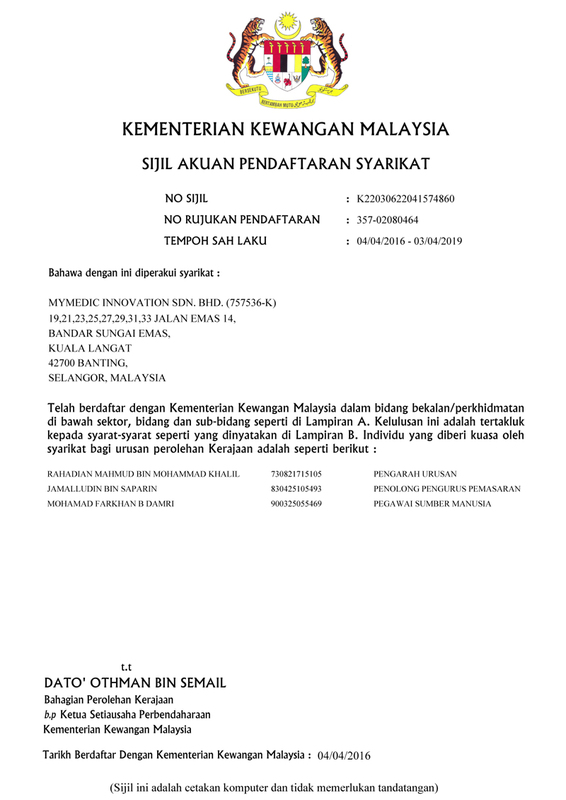 As a target, MyMedic will continues to conduct high level research and development in the area of protective filtration materials and products to exceed international standards for consumer and professional protection, to other consumer and professional with safe high quality and comfortable protective products, and to help people achieving a happy, safe and healthy life. "We do everything we do with passion - and we do it for life." Our philosophy guides us more than merely guaranteeing technical excellence. It means assuming responsibility for the lives of those who use our products and depend on them. Passion for life is both our guiding principle and the central challenge that we draw on for inspiration and motivation.